We are living today in the cusp of the Mayan end times, the end of a galactic day or time period spanning thousands of years. One galactic day of 25,625 years is divided into five cycles of 5,125 years. 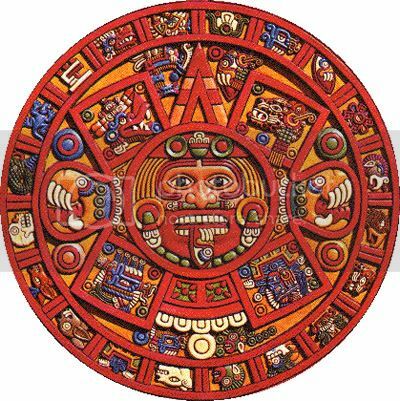 The Great Cycle of the Mayan Long Count calendar ends on the winter solstice of 2012 A.D. Following Mayan concepts of cyclic time and World Age transitions, this is as much about beginnings as endings. In fact, it was considered by the ancient Mayans to signify the creation of a new World Age. We are almost at the end of the fifth and final 5,125 year cycle! Many of us are aware of the Mayan calendar but not many people truly understand what it means and how it works. Yes the calendar does end on December 21, 2012, but what does that mean? How does it come to that? What is their calendar based off of? The Mayans had a very precise understanding of our solar system’s cycles and believed that these cycles coincided with our spiritual and collective consciousness. The most significant of which has much to do with the 2012 prophecies. In the following writing, we will walk through the main details of their prophecies surrounding the 2012 transition. How the transition takes place (from an astronomical perspective), what it means for us, and when the cycles take place. We’ll start with the basic prophecies and later move deeper into the explanation of the cycles. The Mayans prophesied that from 1999 we have 13 years to realize the changes in our conscious attitude to stray from the path of self-destruction and instead move onto a path that opens our consciousness to integrate us with all that exists. The Mayans knew that our Sun, or Kinich-Ahau, every so often synchronized with the enormous central galaxy. And from this central galaxy received a ’spark’ of light which causes the Sun to shine more intensely producing what our scientists call ’solar flares’ as well as changes in the Sun’s magnetic field. The Mayans say that this happens every 5,125 years. But also that this causes a displacement in the earths rotation, and because of this movement great catastrophes would be produced. The Mayans believed the universal processes, like the ’breathing’ of the galaxy, are cycles that never change. What changes is the consciousness of man that passes through it. Always in a process toward more perfection. Based on their observations, the Mayans predicted that from the initial date of the start of their civilization, 4 Ahau, 8 Cumku which is 3113 B.C., after one cycle being completed 5,125 years in their future, December 21st, 2012. The Sun, having received a powerful ray of synchronizing light from the center of the galaxy, would change its polarity which would produce a great cosmic event that would propel human kind to be ready to cross into a new era, The Golden Age. It is after this, that the Mayans say we will be ready to go through the door that was left by them, transforming our civilization based on fear to a vibration much higher in harmony. Only from our individual efforts could we avoid the path to great cataclysm that our planet will suffer to start a new era, the sixth cycle of the Sun. The Mayan civilization was in the fifth cycle of the Sun, and there were four other great civilizations before them that were destroyed by great natural disasters. They believed that each cycle was just one stage in the collective consciousness of humanity. In the last cataclysm of the Mayans, the civilization was destroyed by a great flood that left little survivors of which were their descendants. They believed that having known the end of their cycle, mankind would prepare for what is to come in the future and it is because of this that they would have preserved the dominant species; the human race. They say that coming changes will permit us to make a quantum leap forward in the evolution of our consciousness to create a new civilization that would manifest great harmony and compassion to all humankind. Their first prophecy talks about ’The Time of No-Time’. A period of 20 years, which they call a Katún. The last 20 years of the Sun’s cycle of 5,125 years. This cycle is from 1992 – 2012. I’ll explain this in greater detail later. They predicted that during these times, solar winds would become more intense and could be seen on the Sun. This would be a time of great realization and great change for mankind. And it would be our own lack of preservation and contamination of the planet that would contribute to these changes. According to the Mayans, these changes would happen so that mankind comprehends how the universe works so we could advance to superior levels, leaving behind superficial materialism and liberating ourselves from suffering. The Mayans say, that seven years after the start of Katún, which is to say 1999, we would enter a time of darkness which would force us to confront our own conduct. The say that this is the time when mankind will enter ’The Sacred Hall of Mirrors’. Where we will look at ourselves and analyze our behaviors with ourselves, with others, with nature and with the planet in which we live. A time in which all of humanity, by individual conscious decisions, decides to change and eliminate fear and lack of respect from all of our relationships. The Mayans prophesied that the start of this period would be marked by a solar eclipse on August 11, 1999, known to them as 13 Ahau, 8 Cauac. And would coincide with an unprecedented planetary alignment, the ’Grand Cross’ alignment. This would be the last 13 years of the Katón period. The last opportunity for our civilization to realize the changes that are coming at the moment of our spiritual regeneration. For the Mayans, everything is numbers and the time of the 13 sacred numbers started in August 1999. They predicted that along with the eclipse, the forces of nature would act like a catalyst of changes so accelerated and with such magnitude that mankind would be powerless against them. Also, that our technologies in which we rely on so much would begin to fail us. We would no longer be able to learn from our civilization in the way that we are organized as a society. They said that our internal, spiritual development would require a better place along with a better way to interact with more respect and compassion. The first prophecies were attained by their study of our Sun. The Mayans discovered that the entire solar system moved. That even our universe has its own cycles. Repetitive periods which begin and end like our day and night. These discoveries lead to the understanding that our solar system rotates on an ellipse that brings our solar system closer and further from the center of the galaxy. In other words, according to the Mayans, our Sun and all of its planets rotate in cycles in relation to the center of the galaxy or Hunab-Kú, the central light of the galaxy. It takes 25,625 years for our solar system to make one cycle on this ellipse. One complete cycle is called a galactic day. The cycle is divided into two halves similar to our day and night. The half closest to the central light, is our solar system’s ’day’ and the half furthest away is its ’night’. Each day and each night lasts 12,800 years. Which is to say, the central galaxy is the Sun for our entire solar system. The Mayans discovered that every grand cycle has its minor cycles, that carry the same characteristics. One galactic day of 25,625 years is divided into five cycles of 5,125 years. The first cycle is the galactic morning. When our solar system is just coming out of the darkness to enter the light. The second cycle is the mid-day. When our solar system is closest to the central light. The third cycle is the afternoon. When our solar system begins to come out of the light. The fourth cycle is the late-night. When our solar system has entered its furthest cycle from the central light. And the fifth and last cycle is night before dawn. When are solar system is in its last cycle of darkness before starting again. This is the cycle we are currently coming out of. The Mayan prophecy tells us that in 1999, our solar system began to leave the end of the fifth cycle which started in 3113 B.C. and that we find ourselves in the morning of our galactic day, exiting darkness and on the verge of being in plain day of our central galaxy in 2012. They say that at the beginning and end of these cycles, which is to say, every 5,125 years, the central sun or light of the galaxy emits a ray of light so intense and so brilliant that it illuminates the entire universe. It is from this burst of light that all of the Suns and planets sync. The Mayans compare this burst to the pulse of the universe, beating once every 5,125 years. It is these pulses that mark the end of one cycle and the beginning of the next. Each pulse lasting 20 years, a Katún. So we come back to what they call ’The Time of No Time’. It is an evolutionary period, short but intense, inside the grand cycles where great changes take place to thrust us into a new age of evolution as individuals and as mankind. As individuals we will have to make decisions that will affect us all. If we continue on this negative path of hate, an eye for an eye, destruction of nature, of fear and egoism, we will enter straight into the time of destruction and chaos, and we will disappear as the dominant race of this planet. If we become conscious and realize that we all form part of a great organism, and that we should respect one another and be grateful to our planet, then we will move directly into positive growth, our Golden Age. Our planet, the Sun and the Galaxy are awaiting our decision. It is up to us what will happen in this time of change. Whether we go through a time of suffering and destruction or we find ourselves united in one positive consciousness moving closer to our next stage. Please notice the events of our planet as evidence that the Mayan prophecies are worth listening to and learning from. Share this information and help us all move toward a better future, where we can thrive in a new era of positivity. It has never been so important. What is so special about the Mayan Calendar? “The person with no previous exposure to the Mayan Calendar will usually initially be surprised by the fact that some people today take such an interest in an ancient calendar. After all, human history has seen a high number of different calendars. Is not then the Mayan calendar just a very specialized subject of interest only to specialists or history buffs? “Why would the world today need another calendar than the Gregorian or Muslim that are currently in use, and why should this be the Mayan calendar?” some may ask. Well, to begin with most people probably have a much too limited view of the importance of the Mayan civilization, and Native American traditions generally. In fact, at their height in the 5th to 9th centuries AD, the Mayan cities would be among the largest in the world and developed the most advanced mathematics and astronomy of their day. And so, even if the Native American civilizations hardly survived the later contact with the Europeans they were and are the carriers of a significant and irreplaceable part of the global human consciousness. When we talk about the Mayan Calendar something profoundly different is also meant than just a system to mark off the passage of time. The Mayan Calendar is above all a prophetic calendar that may help us understand the past and foresee the future. It is a calendar of the Ages that describes how the progression of Heavens and Underworlds condition the human consciousness and thus the frames for our thoughts and actions within a given Age. The Mayan Calendar provides an exact schedule for the Cosmic Plan and the unfolding of all things that come into existence. There is now ample empirical evidence for this, something that shines new light on the age old questions of mankind. Things do exist for a reason. The reason is that they fit into the divine cosmic plan. For those that seriously engage in a study of the Mayan Calendar this soon becomes evident and the former materialist world view loses all relevance. The Mayan Calendar is a gateway to the worlds of consciousness which the majority of humanity has been blinded to through the use of false or delusory calendars. Since everything that exists is an aspect of consciousness, and the Mayan Calendar describes the evolution of consciousness in all of its aspects, no stone is left unturned for the serious student of the Mayan Calendar. All of science is affected, all of religion is affected, all of life is affected. We are here for a reason. Time is no longer equated with money, but with spirit. Time is inspiration! 3. The Mayan fifth world finished in 1987. The sixth world starts in 2012. So we are currently “between worlds”. This time is called the “Apocalypse” or revealing. This means the real truth will be revealed. It is also the time for us to work through “our stuff” individually and collectively. we will have gone beyond technology as we know it. we will have gone beyond time and money. Planet Earth and the Solar System will come into galactic synchronization with the rest of the Universe. Everybody on this planet is mutating. Some are more conscious of it than others. But everyone is doing it. 7. Time is speeding up (or collapsing). For thousands of years the Schumann Resonance or pulse (heartbeat) of Earth has been 7.83 cycles per second, The military have used this as a very reliable reference. However, since 1980 this resonance has been slowly rising. It is now over 12 cycles per second! This means there is the equivalent of less than 16 hours per day instead of the old 24 hours. Pacal Votan’s prophetic call is alerting present-day humanity that our biological process is transforming, approaching the culmination of a 26,000 year evolutionary program. Bringing the return of universal telepathy, heightened sense capacity, and self-reflective consciousness, this is a return to the sacred domain of our inner technology. This grand cycle of evolution will culminate winter solstice, December 21, 2012 AD. This time we are now in has been called “The Time of Trial on Earth,” “Judgement Day,” “The Time of Great Purification,” “The End of this Creation,” “The Quickening,” “The End of Time as We Know It,” “The Shift of the Ages.” It is foretold that the completion of the Precession brings regeneration of Earth, offering awakening to all open, willing hearts. Many peoples spoke of these last days of the Great Cycle, including the: Maya, Hopi, Egyptians, Kabbalists, Essenes, Qero elders of Peru, Navajo, Cherokee, Apache, Iroquois confederacy, Dogon Tribe, and Aborigines. “The Gregorian calendar is not in harmony with the forces of nature. The original Egyptian calendar was. But the Egyptian calendar was later modified by the Greeks/Spartan and then the Romans etc. 30 yrs after the birth of Christ, the calendar was off by 12 days. They had a council to bring it back (Julian). In 1582 it was again out of line and Pope Gregory brought in the best astronomers to align it once again. It still suffer changes. The Russian Orthodox did not accept this calendar until much later. The Mayan calendar will need to be adjusted by one day in 380,000 years. The Aztecs use different glyphs and is basically the same as the Mayan only slightly less evolved. Their glyphs are better in their representations of the energies though. The Earth changes will continue until 2012. The Elders say that the process can be easy and aligned or can be catastrophic. Human energy will decide this. Time and the calendar begin on the equinox of 3/21. There had been a cycle of darkness that lasted 468 years (9 X 52) and ended on 3/30/1993. We are now in a transition period called the ’Cycle of the merge of the dark and the light.’ During this time humanity is going through great transition. The cycle of light will come in full force on 12/21/2012. This is considered the cycle of 13 lights and 13 heavens. Many cycles begin on that same date. Mother Earth as a living entity will transcend to another level or frequency or consciousness and a new and special era will begin. The preparation for this is now in the womb of the Earth so to speak and the process of change is bringing transcendental manifestations. This new era will be very positive. “Let all beings rise. Let not one or two stay behind”. The times are here for total brotherhood. Mayans are so intresting! My mind struggles to take it all in, but im getting their! I want to learn more and more about them! I was really forward to this big harmonious change.. But it’s dec 22nd 2012 & nothing happened.. Guess god forgot about us.. Now what?